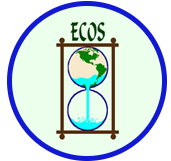 The ECOS annual dinner will be held Tuesday April 16th at the Schenectady County Community College. The evening’s guest speaker will be Union College Professor John Garver. His topic: The State of the Mohawk River: Flooding, Water Quality, and Infrastructure Challenges. The office requests all reservations be made by April 4th. If you have not sent in a reservation, call the ECOS office at 518-370-4125 and leave a message with your name and choice of entrée (salmon, roast beef or pea and asparagus risotto). Gluten free versions of all three are available as well as a vegan option by request. The evening will include a raffle of gift baskets. Additionally, a Curtis Ladybug fiberglass solo canoe will be auctioned. It is 13 feet, 8 inches long and 39 lbs. Very good condition. Single and double blade paddles and wheeled cart included. Minimum bid $200. If you would like to bid on the canoe, but are unable to attend the dinner, please e-mail your best offer to ECOS (info@ecosny.org) by 5 pm April 15.